When I was young, I loved playing in the bath… my favorite thing was to waste shampoo by mixing it with water pretending to invent mysterious medicine! 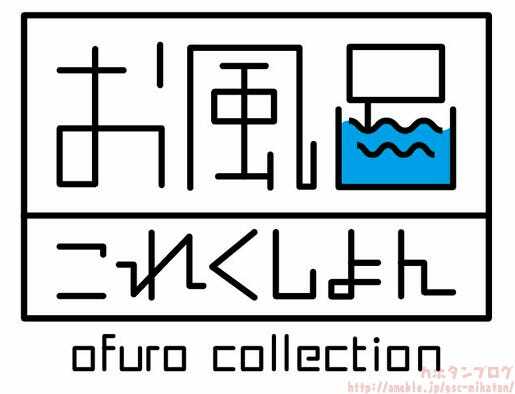 Today we’re going to be taking a look at some new products that combine some childish fun with some cute girls that admirals across the world have come to love! 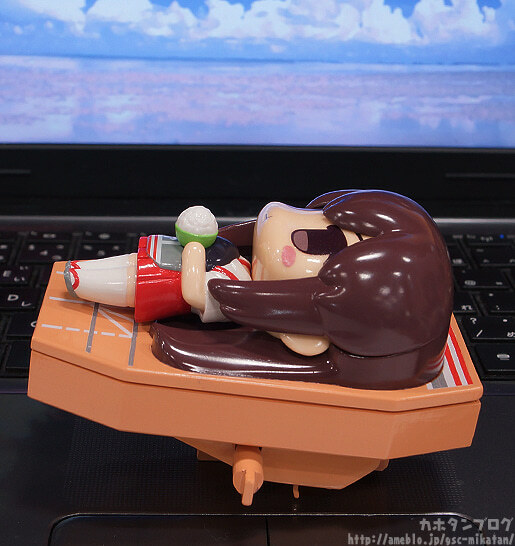 From the popular ‘Kantai Collection -KanColle-‘ comes the long-awaited first in the Bath Time Collection series of toys – Akagi! She is based on an illustration by popular illustrator CHANxCO, and while she is designed to float in a bath or pool, she can also speed along the ground as well using the wind-up motor built into her design. 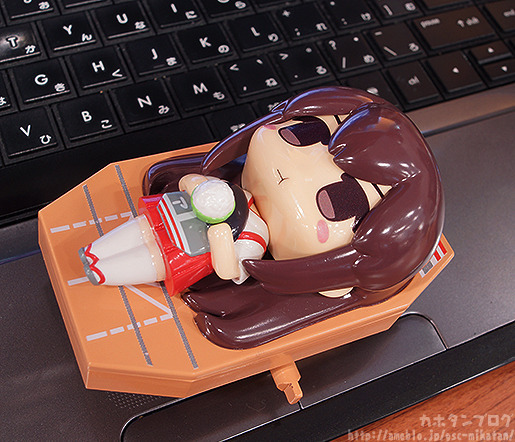 Akagi is sprawled out on the ship deck, making sure nobody can touch her previous rice! 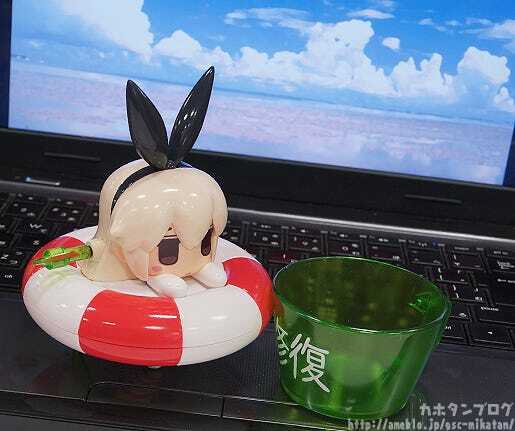 Be sure to enjoy her company in the bath or anywhere else! Her bowl of rice is overflowing! 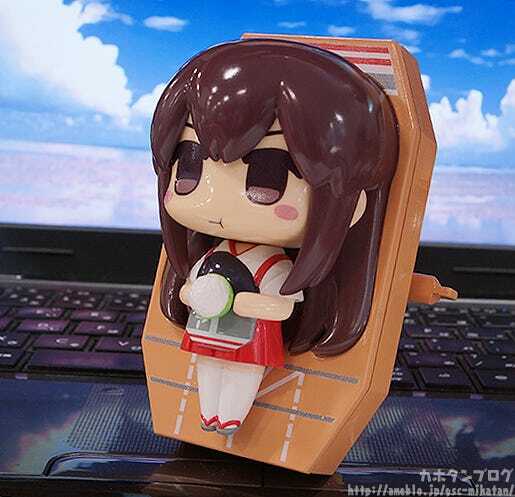 This is what is known as an ‘Akagi-size’ serving! 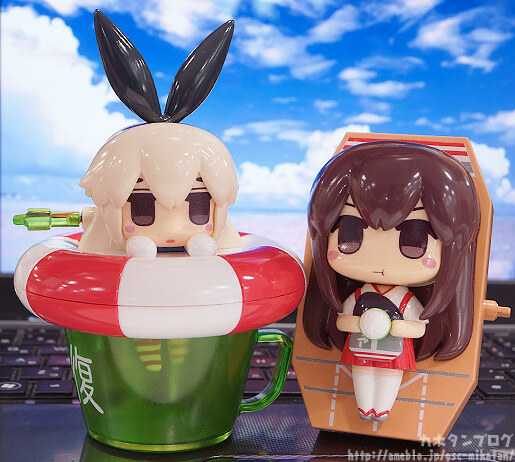 The wind-up tool to speed her across land or water can be found on the bottom! 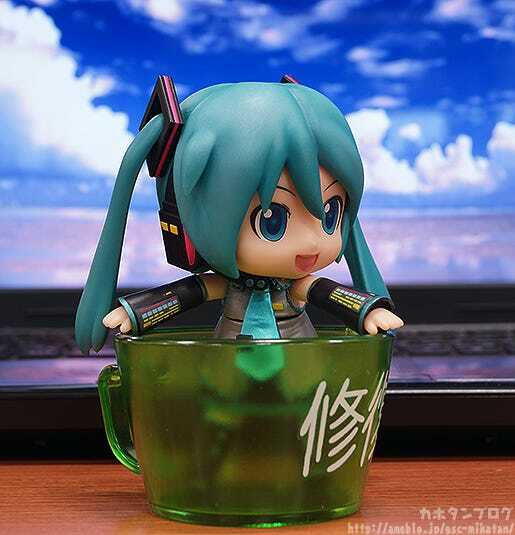 She is about the same length as a Nendoroid! Comparing these two is a bit strange, the puffy cheeks cause them to resemble each other a little bit! 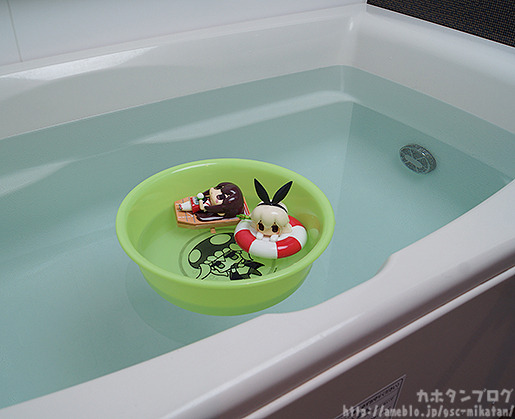 From the popular ‘Kantai Collection -KanColle-‘ comes the second in the Bath Time Collection series of toys – Shimakaze! 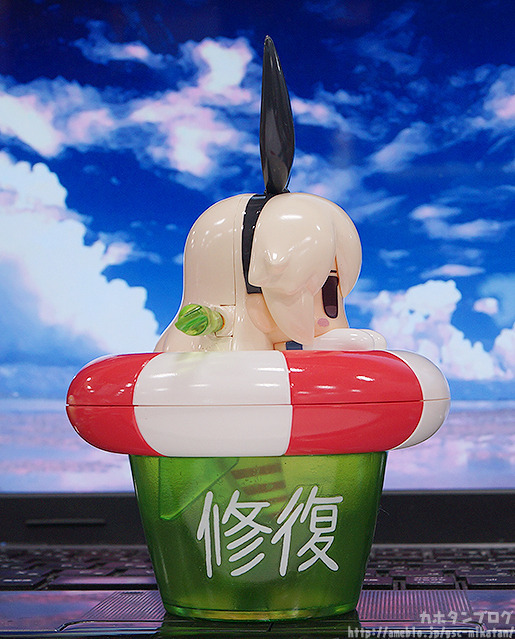 She is based on an illustration by popular illustrator CHANxCO, and while she is designed to float in a bath or pool, she can also totter slowly along the ground by using the wind-up motor built into her design. 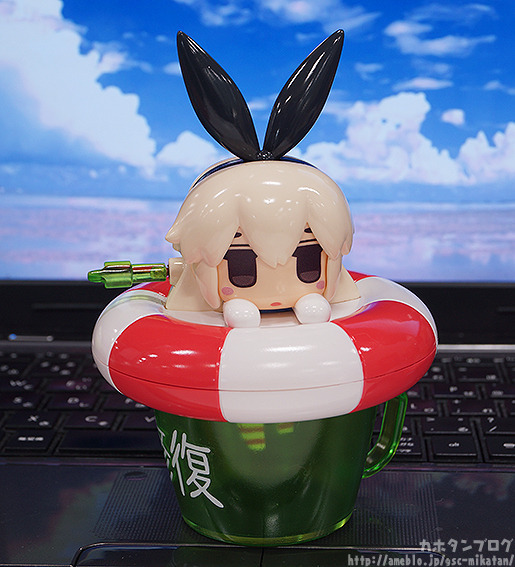 Shimakaze is enjoying floating around in her bucket, and fans are sure to enjoy her company just as much! 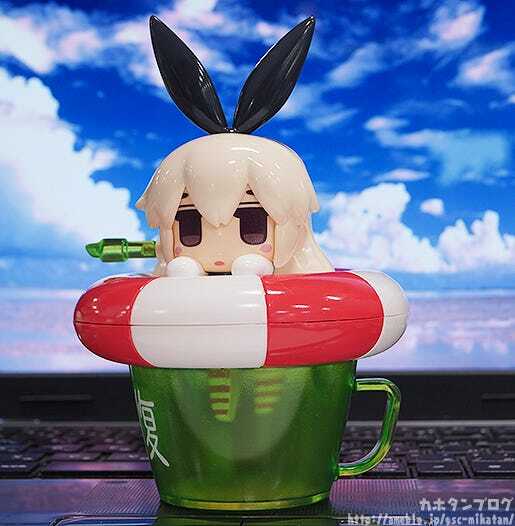 She can also be removed from her cup modelled off a repair bucket! She seems to fit in quite comfortably! The Bath Time Collection is a new series, but I have to say I’m rather interested to find out what the inspiration was to create it! 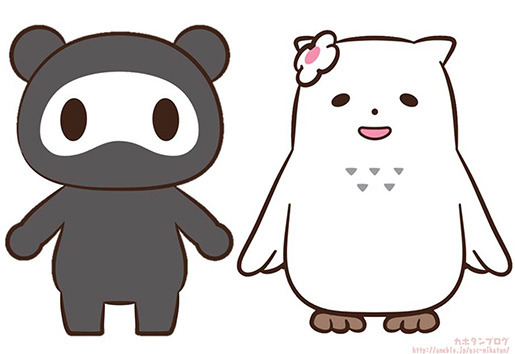 On that note, I decided to have a word with the head planner for the series Kyojin! I see! So various things matched up really well, and thus the series was born! I remember seeing the concept model prototype on display at Hobbyshow… but I hear that the development from that point was rather bumpy? (· ∀· ) “Things weren’t going well so we needed to rework the plan… and so we decided to get some help from someone with some experience… TOKYO UNIQUE! The Bath Time collection has a very shiny, smooth look! It definitely gives a bit of a toyish appearance, but personally I like it! This is ABS right? 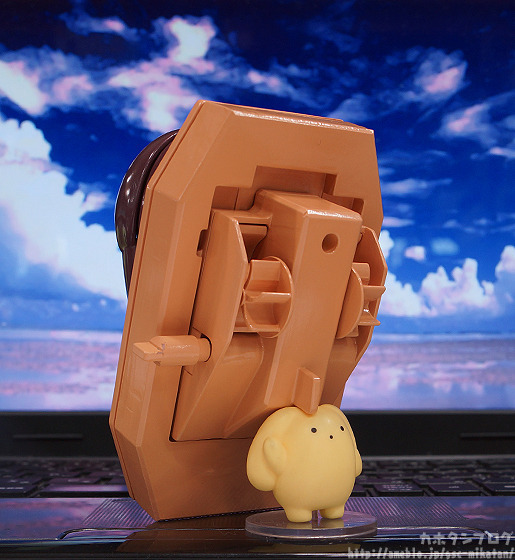 The same material used for many Nendoroid optional parts and weapons. 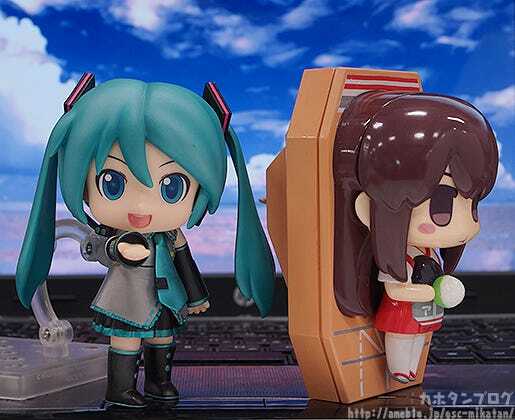 Ah… they really are adorable to look at… but I wish I could play with them too!! 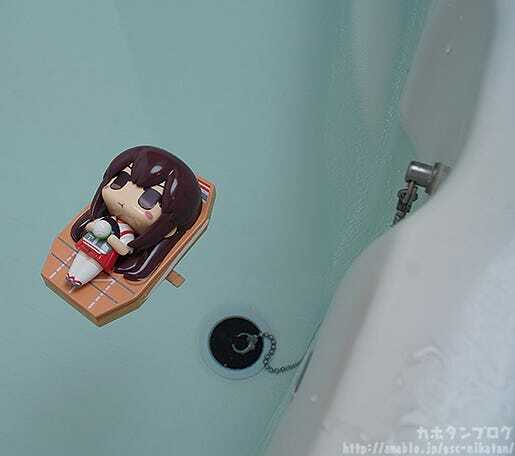 Placing Akagi in the bath… she looks so peaceful!! 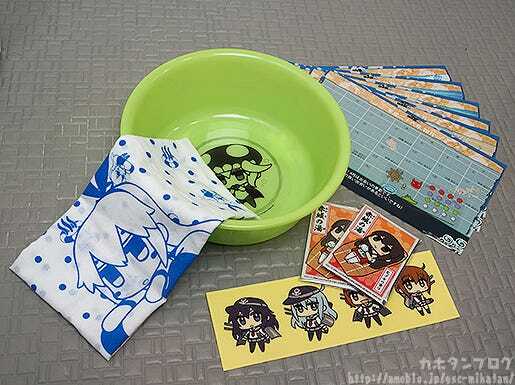 · Semi-Waterproof Stickers: Destroyer Division 6 ver. 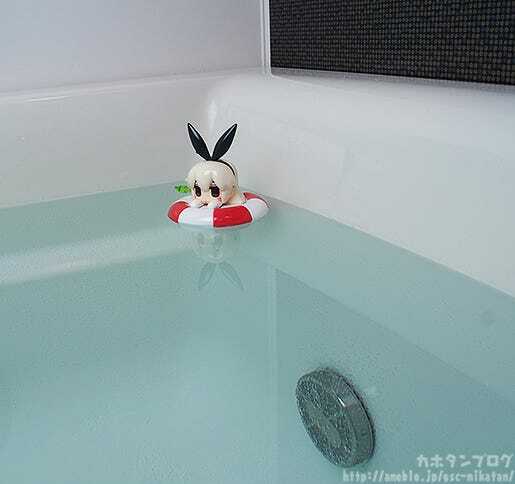 Enjoy Bath Time with some KanColle Girls! They’ll be up for preorder from tomorrow, the 30th January! Lovely and yet filled with darkness… seems to act cool but actually just apathetic… the mysterious yellow creature is back! 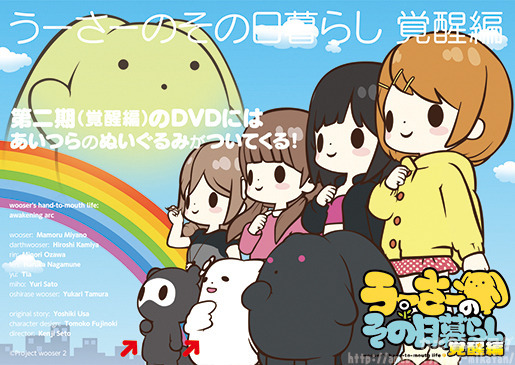 wooser’s not-really-heartwarming series of short animations has returned, as he continues to strive for nothing but his own desires. Just like the first season, the awakening arc DVD features a needlessly impressive staff line-up, and contains all 12 episodes of the season! 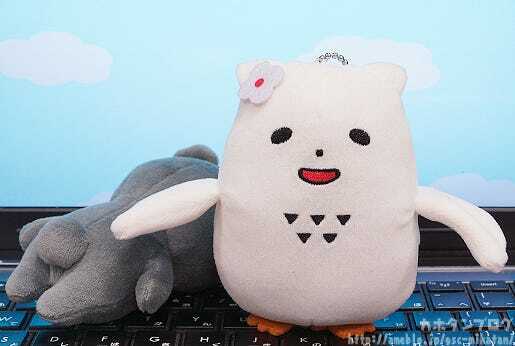 It also includes mini plushies of both Ajipon and The-Creature-Who-Must-Not-Be-Named as extras! Don’t miss out! Darth wooser in last night’s episode was amazing! If you missed out you can still watch the episode on NicoNico Douga!